Searching the web for illegal live streams of FS1 (Fox Sports 1) is a hassle. Especially, when you can watch FS1 streams that are safe and legal online. This article will cover all the services that allow you to stream FS1 live online without needing a cable TV or satellite subscription. The most affordable way to watch live FS1 streams legally is with Sling TV. Live FOX Sports 1 is available through Sling TVs “Blue Package.” You can even stream FS1 free for one week using this free trial. So for all that have been asking, this is the way New Yorkers can stream Yes Network Online without cable. Keep in mind, you have to live within the regional boundary to have access to the FOX Regional Sports Network. 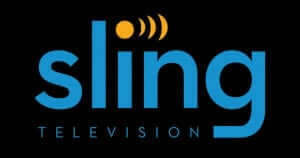 For details on Slings service offerings and the difference between them, check out my review of Sling TV. While Sling TV is the most affordable way to watch FS1 there are other live TV streaming services that offer access to FS1 live streaming. They are listed below with a brief description. FuboTV is a streaming service built for sports. It offers FS1, FS2, and the in-market Fox regional networks, along with 70+ other channels. You can get a 1-week free trial to watch FS1 live on FuboTV. After the trial on its basic package for $54.99/month ($44.99 for the first month). The FuboTV app is available on major platforms including AppleTV, AndroidTV, Roku, and Amazon FireTV. Check out our review of FuboTV for more details. YouTubeTV also offers FS1 streaming live, as well as FS2 and Fox RSNs. FS1 is included in the base package for $49.99 a month. Please read our review of YouTube TV for more details. PlayStation Vue is a great way to get a ton of TV channels without needing a cable provider. FS1 is available on every level of Vue, including the entry package which costs $45 per month and delivers over 50 channels over the internet. Vue is also available on Amazon Fire TV and other streaming devices. 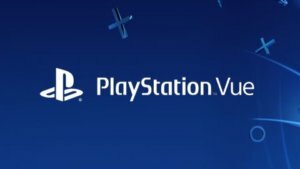 See our review of PlayStation Vue for more details on what channels are available and device support. AT&T’s DirecTV Now service is yet another way you can watch FS1. The service is priced at $50 per month. You can check out everything this service offers by taking advantage of their 7-day free trial or read about it in our DirecTV Now review. Fox Sports Go is an all in one Fox Sports streaming app available on device browsers, Roku, Apple TV, Google Chromecast, Amazon Fire Stick and Fire TV, andiOS and Android devices. With Fox Sports Go, you can watch any channel in the Fox Sports network that’s included in your cable or live TV streaming subscription from one centralized app. That includes Fox Sports, FS1, FS2, Fox College Sports, Fox Soccer Plus, Fox Deportes, the Big Ten Network, and any regional Fox Sports channels you might have access to. This is referred to as a “TV Everywhere” app. Typically, you need a cable provider login. However, with Fox Sports Go, every streaming service I mentioned in this article will work with Fox Sports Go as your TV provider login credentials. Considering all of these services offer free trials you can stream FS1 live free for quite some time just by rotating the various service’s trial offers.